The Poet’s Zodiac. Number 4 in the second volume of our limited-edition Summer Kitchen Series. 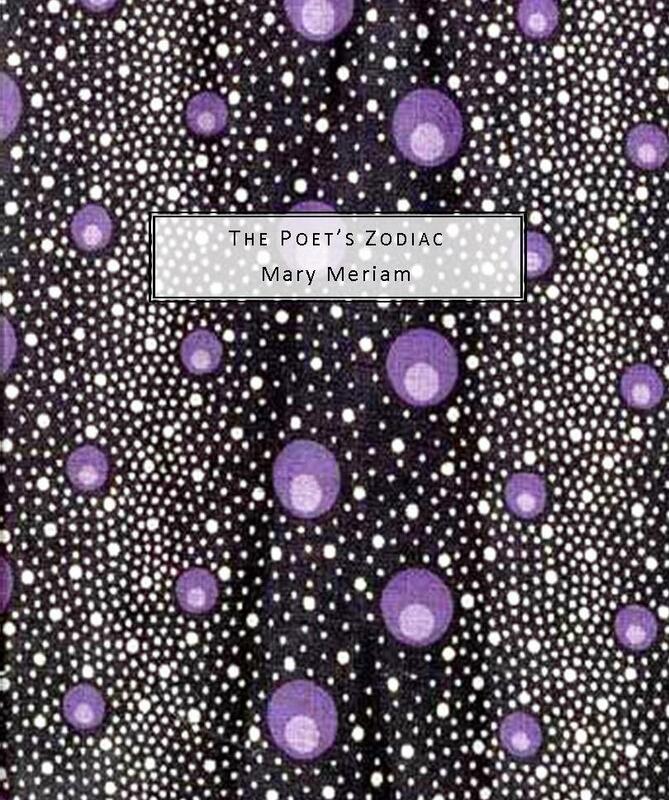 Mary Meriam is from rural New Jersey and studied poetry at Bennington and Columbia. Poems from The Poet’s Zodiac are published in Think, Measure, Cascadia Subduction Zone, Two Weeks: An Anthology of Contemporary Verse, and Verse Wisconsin. Other poems have appeared recently in The New York Times, Poetry Foundation, American Life in Poetry, The Gay & Lesbian Review, Bridges, and Hot Sonnets: An Anthology. She is the author of The Countess of Flatbroke and the editor of Lavender Review. lost to the thrashers, lost to late spring frost. You get one visit to the rotting woods of sin. You didn’t know that she could kiss your lips. She does. And then you part like passing ships. You lose your mind. A spider dangles near. describe your exile, fumble, disappear. but your analysis remains unclear. the high school kind, your pages upside-down. There is a bell. The lessons end. You drown. This little book is, pound for pound, the finest piece of literature I’ve read I’ll year! I am so honored to have one of the 49 copies. is this going to be reprinted?